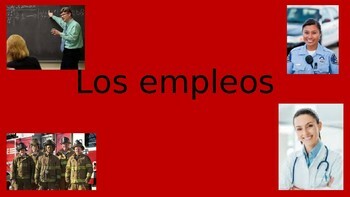 This is a 25 slide Power Point entirely in Spanish that teachers 25 common, modern-day professions in Spanish. 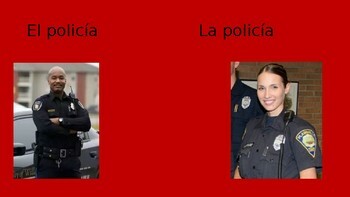 These photos are good-quality and it's easy to understand the Spanish term based on the picture. There are no cartoon images. 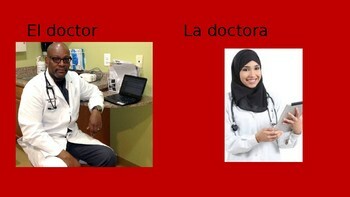 These slides feature people of all ethnicities and backgrounds. Enjoy!